All dances taught. No partner necessary. 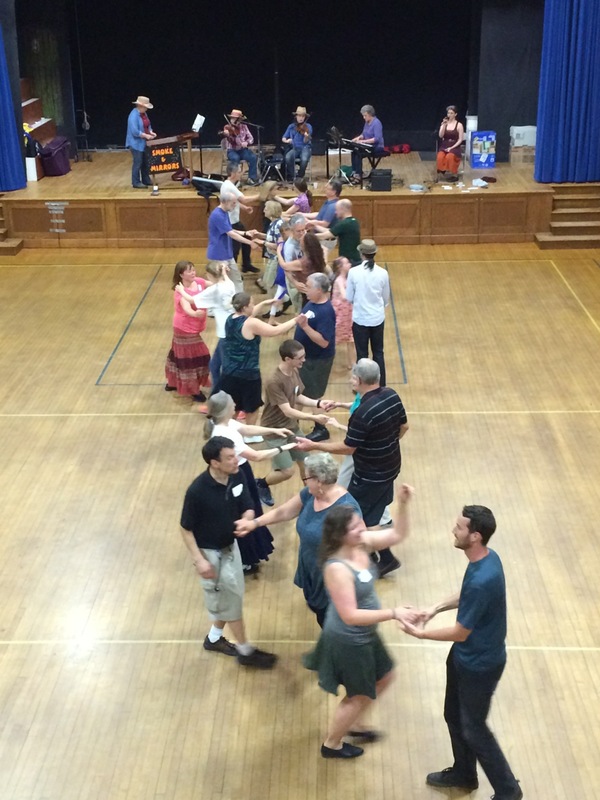 Contra dancing is an old New England tradition. Smoke-free, alcohol-free, family friendly environment. Wesley Methodist Church, 114 Main Street, Worcester. Please wear soft-soled shoes to protect the floor. Beginners' Lessons at 7:00 PM. 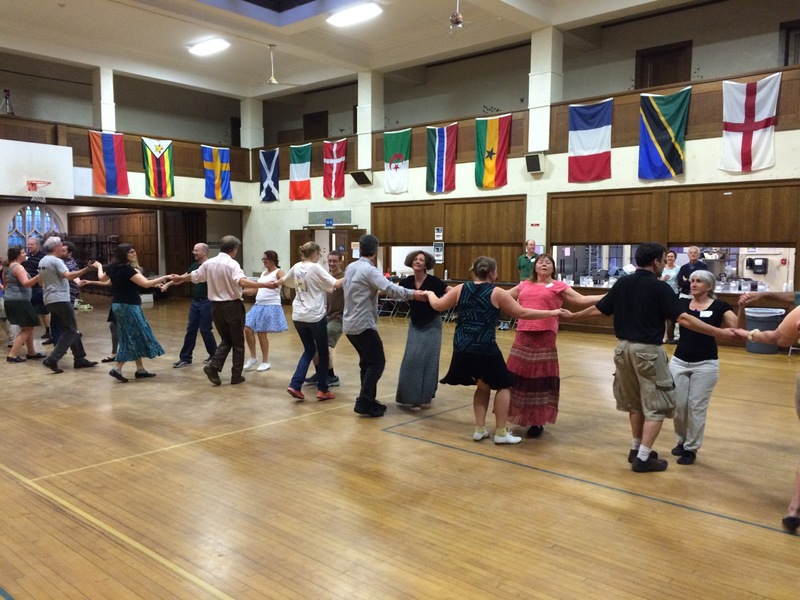 Dancing 7:30 – 10:30 PM. 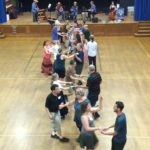 The Worcester Contra Dance usually takes place on the second Saturday of every month from September through June. There are exceptions for holidays and other events, so remember to check the schedule! Here is the full schedule and directions in PDF format (good for printing and hanging on the refrigerator). 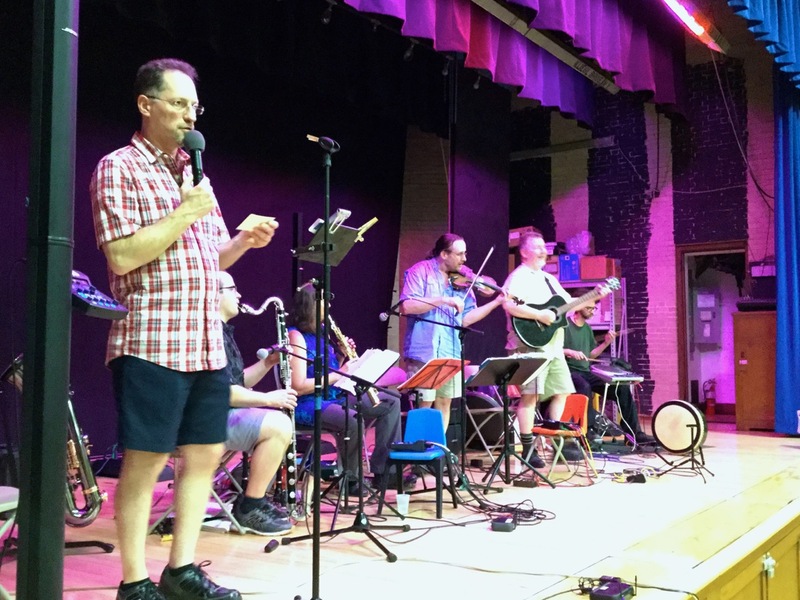 At the Worcester contra dance, April showers held off long enough for us to enjoy einstein's little homunculus, a regular fixture at our June dance but coming to us early this season. 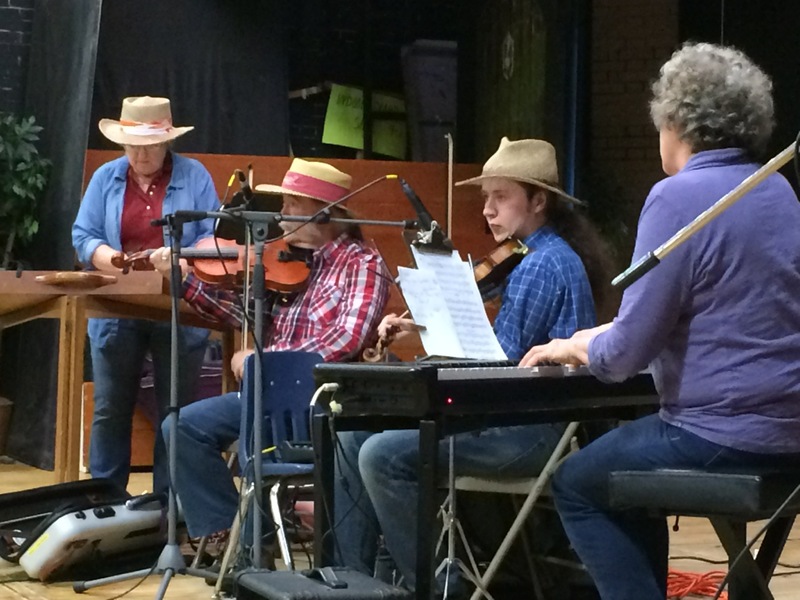 The five-part band kept everyone moving with their lively music and variety of instruments. 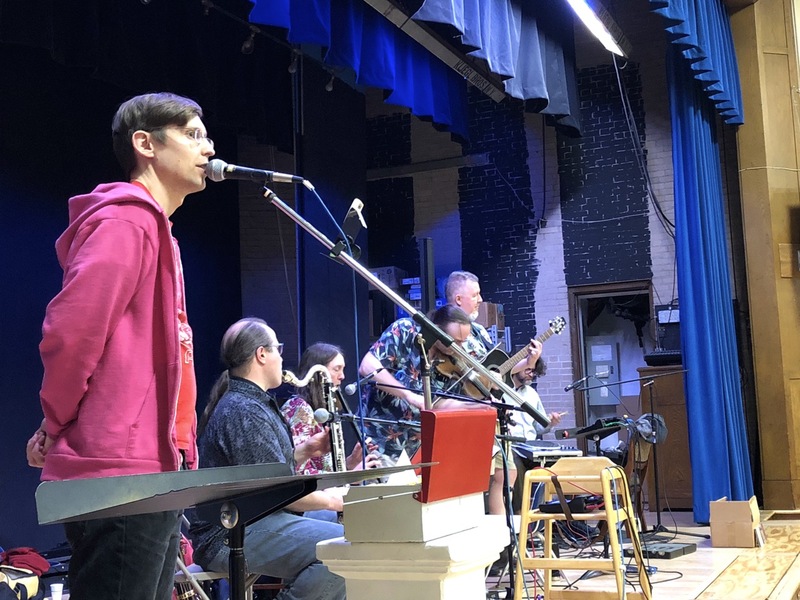 Our calling was provided by Portland, Maine's own Dugan Murphy, completing a three-day contra-calling tour that took him to Concord and Greenfield. His final stop saw him introducing many newcomers to the pastime of contra, while veterans enjoyed the combined kinetic calling and music. Down the hall and back! Jeremy and Geoffrey discuss how to split the evening's take. 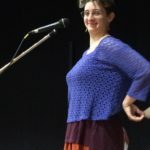 Dela offers a private beginner's lesson. The front and back of the dance hall! Long lines, forward and back! 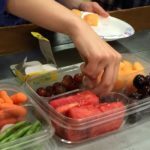 A backstage pass to elh! 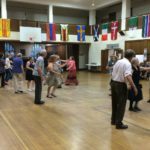 We still have two dances left in the season, so please join us on May 12 for the music of Julie Metcalf & Mark David Buckles, with Dereck Kalish calling! 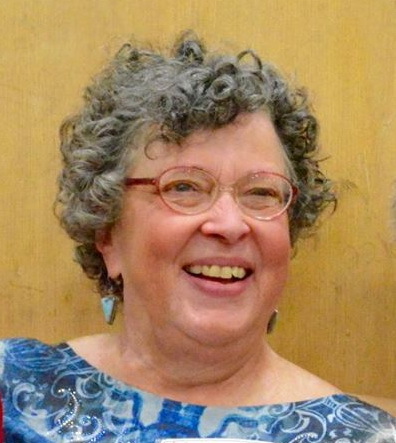 It is with heavy hearts that we let the Worcester contra dance community know of the passing of caller Linda Leslie on February 11, 2018. 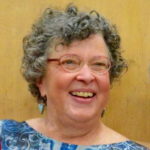 Linda has called the Worcester dance many times in the past decade and was scheduled to call again this June. We wish with all our might that we could see her again on our dance floor. The family has shared a tribute on Facebook, and we are forwarding the below email from Chris Ricciotti. Thank you to everyone who came to our second dance of the season! We barely got in some wonderful dancing in before Hurricane Matthew opened the skies. 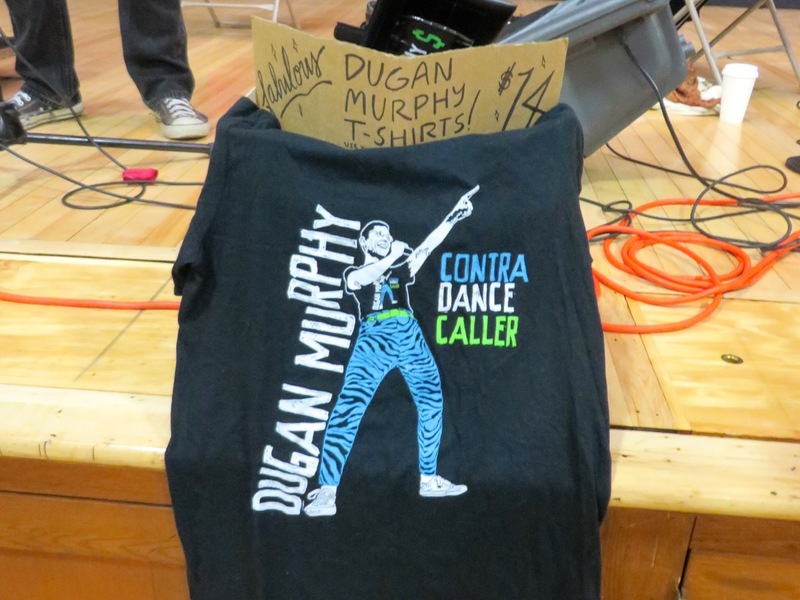 Making the trek from Portland, Maine, was Dugan Murphy, a renowned caller who made his Worcester debut. 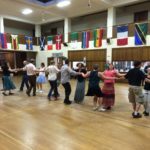 His thoughtful, encouraging beginners' lesson and energetic, diverse calling accommodated a variety of skill levels, making everyone feel welcome. 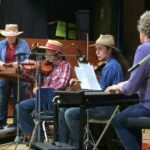 Musician Jim Fownes last played the Worcester dance in May 2015, but he returned this month in a different configuration alongside his daughter, Kathleen. 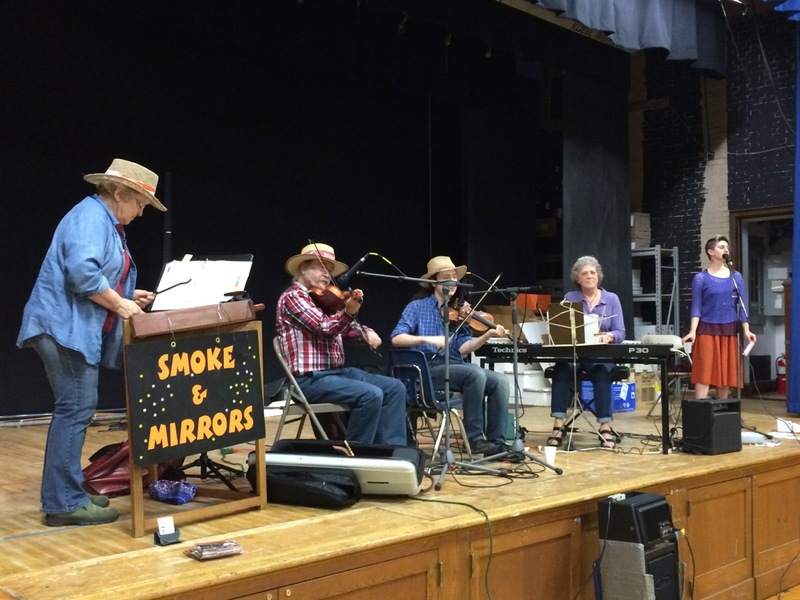 Together, they form Light Reaction, whose music totally rocked our hall. Our thanks to everyone who has been generous with our new sliding scale admission fees! Instead of raising the prices, we've counted on your goodwill to allow us to afford such wonderful talent to perform at our dances. Thank you for being such charitable dancers. On that note: We're always looking for volunteers to help us open and close the hall for each dance! Please email us if you can donate an hour of your time in exchange for free admission. Kathleen and Jim Fownes of Light Reaction. This trio was meant to perform together. Caller Dugan Murphy. You will never meet another caller who sells his own shirts. You're out now, but you'll be back in soon! 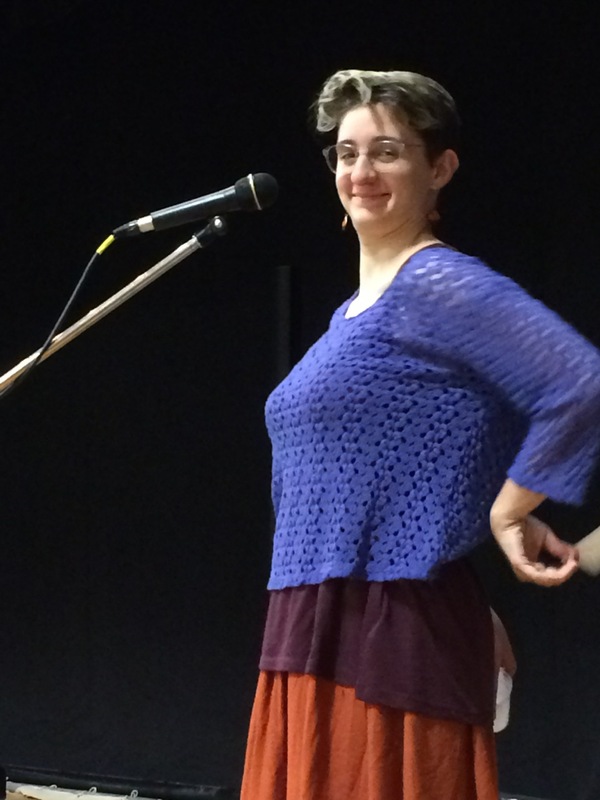 Welcome, Jess, to your first Worcester contra dance! Just who does this little one belong to, anyway? 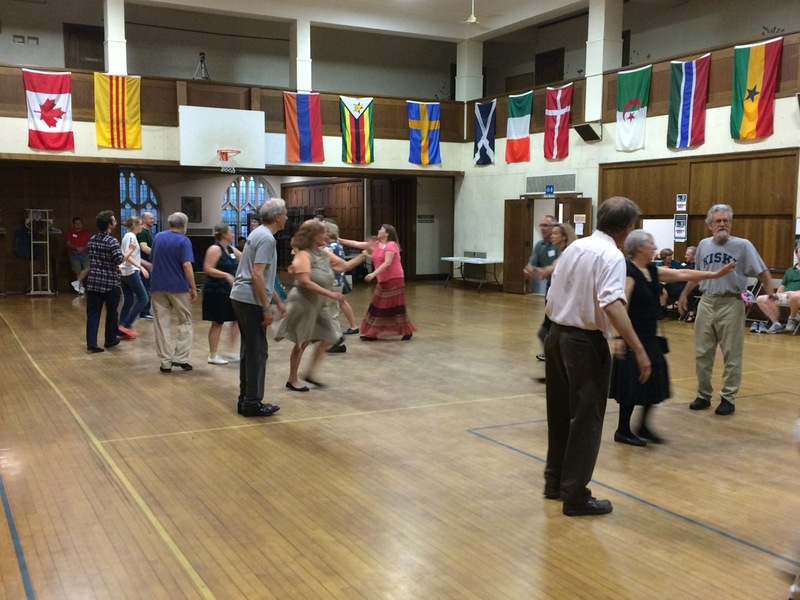 Thank you to all who came to our June dance! 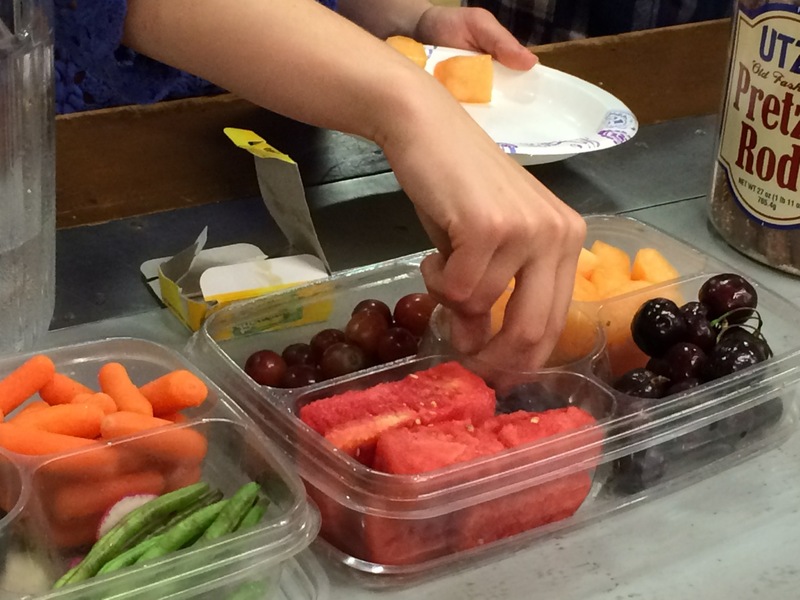 Although attendance was light, those who showed up had a wonderful time. 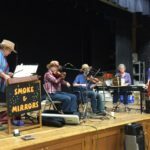 Our hall was filled with the music of Smoke & Mirrors, a group new to Worcester that came recommended by our friends in Northboro. 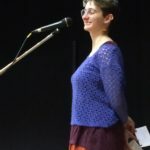 Their tunes were complemented by the calling of Angela DeCarlis, a veteran of BIDA and Concord who raised the bar for Worcester's dancers with her diverse dance selection. 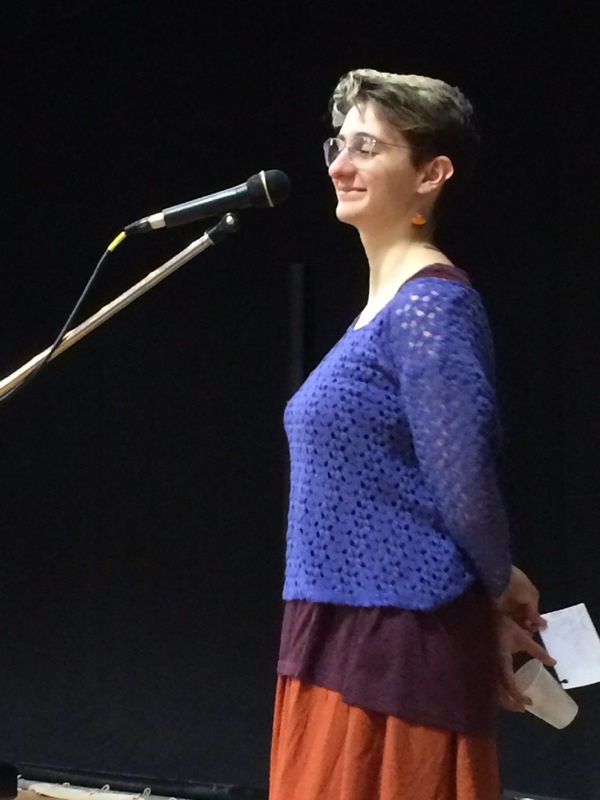 Like Smoke & Mirrors, Angela was new to Worcester, and we welcomed the opportunity to host new talent at our venue. 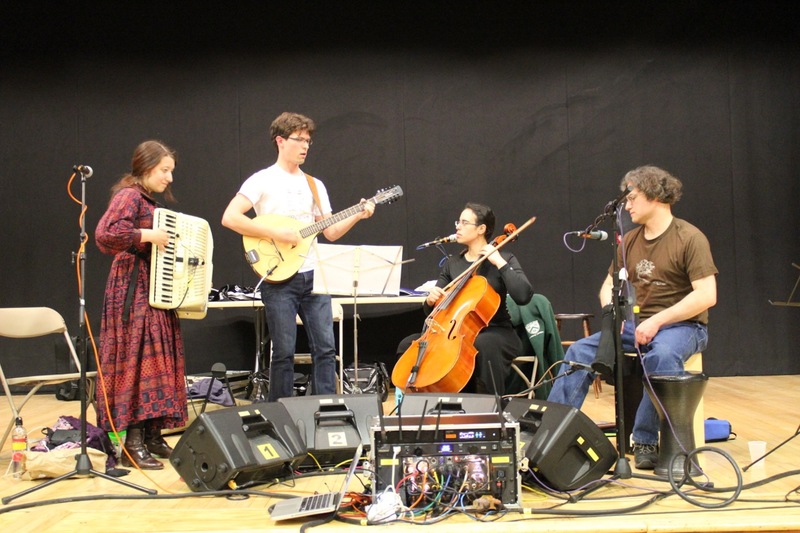 We expect we haven't seen or heard the last of these talented artists, band and caller alike. A veteran caller making her Worcester debut, it's Angela DeCarlis! A happy and talented quartet. Long lines, forward and back. Angela's looking quite confident in her calling. The details of our 2016–2017 season are imminent, so sign up for our mailing list or Facebook group to get the details as soon as they're announced. In the meantime, have a great summer, and we'll see you on September 10!